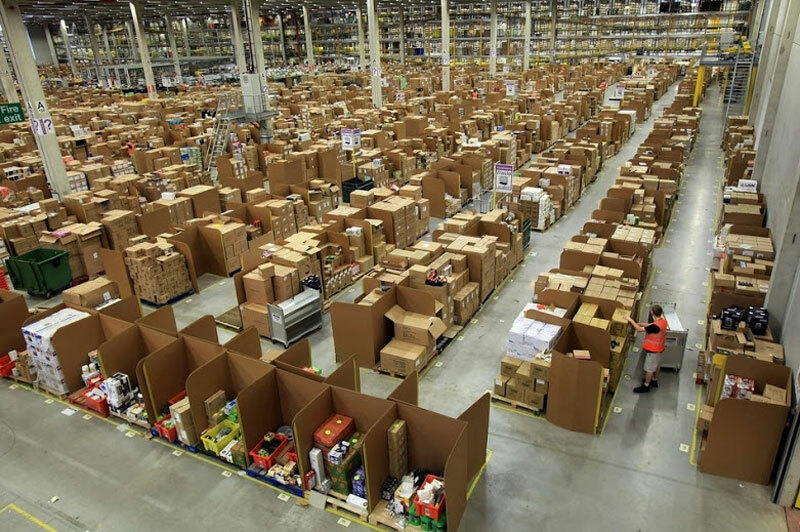 A look inside a typical Amazon warehouse. It’s where all the magic happens. I’ve worked at a FedEx warehouse & been inside a Target warehouse, but this is another level of craziness. With so much stuff to keep track of you might think Amazon uses a strict organizational system. 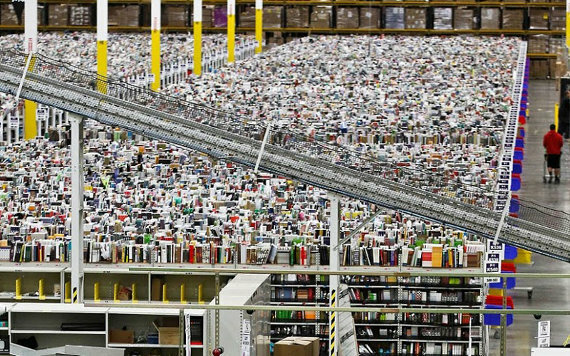 However, unlike most warehouses, Amazon uses what they call chaotic storage. Chaotic storage is like organized confusion. It’s an organic shelving system without permanent areas or sections. That means there is no area just for books, or a place just for televisions (like you might expect in a retail store layout). The product’s characteristics and attributes are irrelevant. What’s important is the unique barcode associated with every product that enters the warehouse. This works well & makes sense considering the extreme amount of different products they deal with. It may sound chaotic, but this is industrial engineering genius. There are several key advantages to the chaotic storage system. First is flexibility. With chaotic storage, freed-up space can be refilled immediately. Second is simplicity. New employees don’t need to learn where types of products are located. They simply need to find the storage shelf within the warehouse. You don’t need to know what the product is, just where it is. Lastly is optimization. Amazon must handle millions and millions of orders. That means that at any given moment there is a long list of products that need to be ‘picked’ from the shelves and prepared for shipment. Since there is a database that knows every product required for shipment and the location of each product inside the warehouse, an optimized route can be provided to employees responsible for fulfillment. 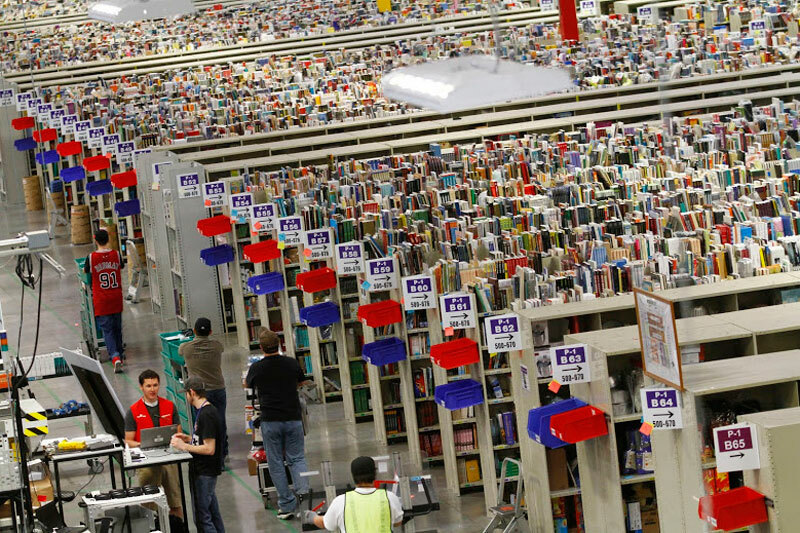 For more Amazon warehouse pictures & to read more about this fascinating storage system, check out this post on Imgur. Creator and editor of Weird Cool Dumb.